With Credit Cards 0 APR is great, but How does it Work? Home → Blog → Low Interest → Extra! Extra! 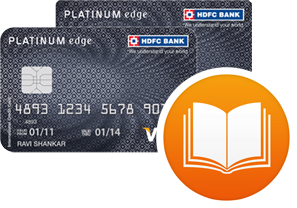 Read About Credit Cards 0 APR Here! Extra! Extra! 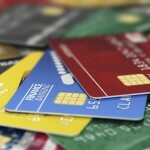 Read About Credit Cards 0 APR Here! 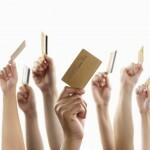 When it comes to credit cards 0 APR is like the Holy Grail, the somewhat elusive thing that so many people search for. But why? What does APR really mean? Your credit card company has certain rules for applying the payments you make to your account. 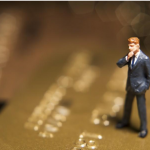 Did you know these rules differ for consumer credit cards and business credit cards? If you own your own business and have a special card that you use only for business transactions, how credit card payments are applied may not be in your best interest. The payment allocation rules from the Credit CARD Act (we’ll talk about those later) don’t apply to business cards. Then you owe $600. When you make a $100 payment on that card, the bank can use it to pay off the debt with the lowest APR first, which would be the balance transfer debt in this case. That obviously doesn’t work in your favor because you still have the higher APR balances amassing interest at an alarming rate. The good news is that some credit card companies do follow the Credit CARD Act rules on payment allocation for business credit cards. Read the terms and conditions of your credit card agreement to see if your company is following the old guidelines or the new rules. But beware that they have the ability to revert to the old if they want. 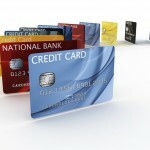 Of course credit cards with 0 APR don’t have to worry about getting stuck paying interest. What Does the Credit CARD Act Say? As of February 2010 the above method for applying credit card payments was prohibited, but only on consumer credit cards. But there’s another caveat, also. You have to make more than the minimum payment on your credit card to reap the benefits of the Credit CARD Act. That benefit is: credit card companies must apply consumer’s payments to the highest APR balance. Change the scenario above from a business credit card to a consumer credit card and that $100 payment goes right to the cash advance debt, which is much more advantageous to you, the cardholder. And just another good reason to pay more than the minimum payment on your account. Besides paying 15 percent or more on your credit card each month, you can make the payment application simple and easy by just having one type of transaction on each card. In other words, use one card for purchases, another for balance transfers and if you really have to, a third for cash advances. And don’t transfer balances to cards that have a purchase balance or make purchases on a credit card that you transferred a balance to. Keep it clean and easy. 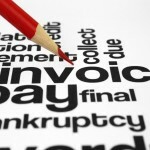 That leaves no doubt on how your payments will be allocated. Of course you’ll have three payments, but it’s still the best way to simplify your finances. 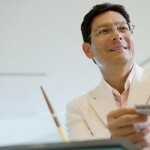 It also puts you in control of the way your payments are applied, not the credit card company plus it keeps costs down. 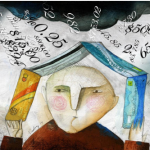 A low interest rate is great, but that’s not all that matters. If you only pay the minimum payment on your higher rate balance, that balance may not decrease at all. In fact when the finance charges are added, unless you have credit cards with 0 APR, your balance could increase.